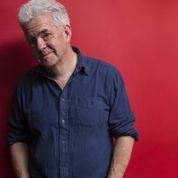 Ian McMillan is a writer and broadcaster who presents The Verb on BBC Radio 3 every Friday night. He’s written poems, plays, a verse autobiography Talking Myself Home and a voyage round Yorkshire in Neither Nowt Nor Summat. He watches Darfield and Yorkshire Cricket Clubs and the only time he played cricket, at Low Valley Juniors in 1963, Mrs Hudson told him to take his balaclava off or she’d make him wear his mother’s Rainmate! Ian was recently awarded The Freedom of Barnsley and is well known as the Bard of Barnsley. Having delighted the Sporting Heritage conference delegates in the past with his fabulous contributions and Sporting Heritage poem, we are delighted to welcome Ian to the team of Sporting Heritage Ambassadors.